Learn basic Middle Eastern dance veil techniques, combs and choreography. Belly dance experience is helpful but not required. Contact the instructor, Sarina Dorie, if you don’t have a veil. 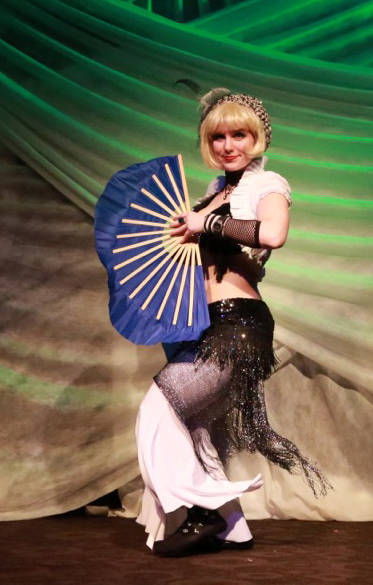 Learn basic fan work with elements from flamenco, belly dance and Chinese traditional fan dance combined in a unique and interesting way. Bring a set of fans. Some fans will be provided by the instructor.